Gambling themes, particularly when it comes to performing magic card tricks, are popular. There's just a certain mystique associated with the riverboat gambler or high-stakes poker game. Lay spectators often know that cardsharps use sophisticated moves to ply their trade. Also, it's generally known that magicians rely on a mysterious art known as sleight of hand. As a side note: there are big differences in the way that magicians and cardsharps handle and manipulate cards. For one thing, magicians often perform flourishes to attract attention and show spectators their skill with cards. Cardsharps, on the other hand, would never perform flourishes because they don't want to draw attention to their card skills. Interestingly, many cardsharp tricks have moved into the field of magic and been adopted by magicians. But to our knowledge, there's only one move that was developed for card magic and then gained acceptance with gamblers. Here's a great and easy way to deal yourself a royal flush. This poker magic trick requires more talking and misdirection than card handling skills, but you'll look like a gambler and poker player once you learn it. All you need is a deck of cards. 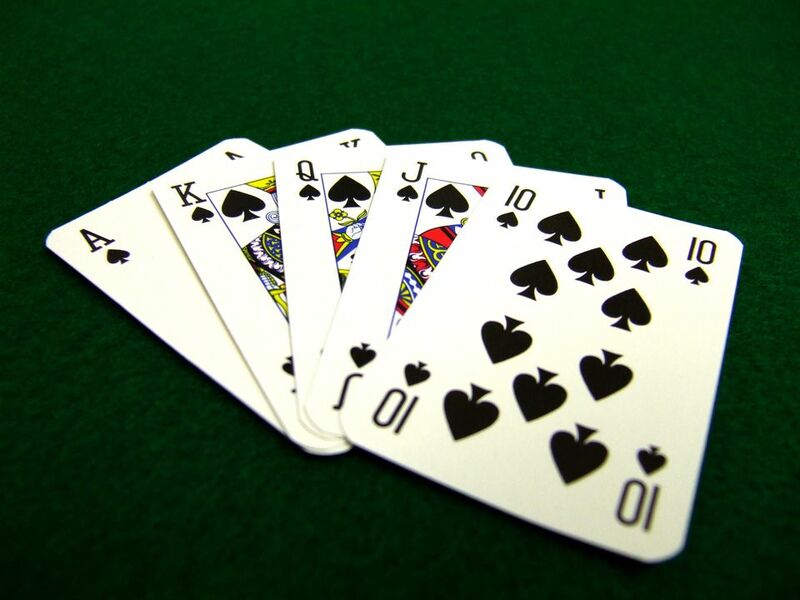 Here's a great poker magic trick, and the best, easiest way to deal yourself four aces. It requires more talking and misdirection than card handling skills, but you'll look like a gambler and poker player when you learn this one. This free and easy magic trick is great for beginners and kids. It's all in the cards. In this trick, you display three cards and ask the spectator to remember them. After turning the cards over, you remove the middle card. You ask the spectator if they can recall what the card is, but when you show it to them, it’s a different card. This is a trick that you can easily learn and perform. In this easy poker magic trick, the spectator separates a deck of cards into four piles and mixes them a bit, and at the end discovers that there’s an ace on top of each pile. All you need is a deck of cards, an easy setup, and the secret, and you’re ready to go. Here's a version of the monte that only uses two cards. You display two cards and then remove one and place it behind your back. When the spectator guesses which card you took, they're always wrong.